Noble Desktop has been a leading web development school since the early days of the internet. Through intro classes and certificate programs, we’ve trained over 45,000 developers and designers since 1990. 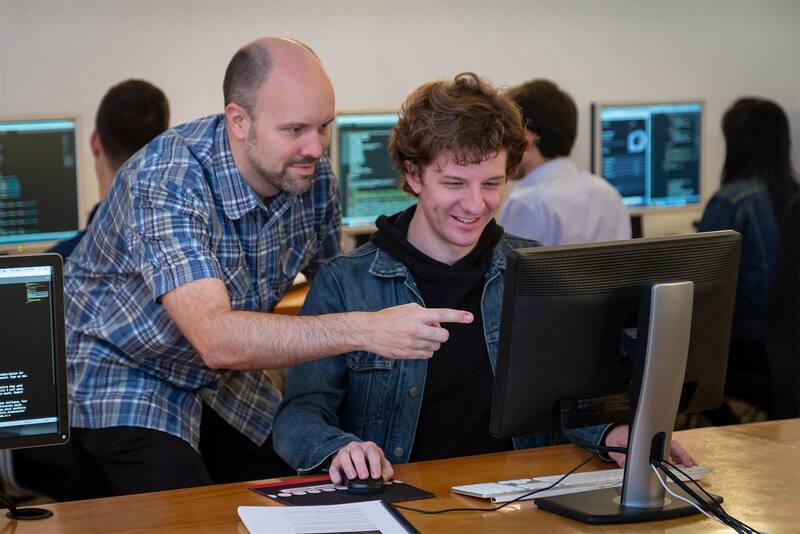 Earn a certificate in web design or web development in full or part-time programs. Our New York State approved certifications cover front and back-end development and can be taken as a complete program or individual courses as your schedule allows. Become a back-end or full-stack developer. Learn programming fundamentals and the latest technologies and apply those skills to a variety of projects. Ruby on Rails allows you to quickly build dynamic web applications. Mastering Ruby on Rails has two parts: the Ruby Programming language and the Rails framework. Learn both Ruby and Ruby on Rails and build full-functioning web applications from your first class. PHP & MySQL unlock the dynamic power of the web allowing you to create pages that interact with customers, collect and display information from a database, send emails, and more. Gain a fundamental understanding of those two building blocks of dynamic websites. If you already know how to code webpages, you can use WordPress as a content management system (CMS) so website updates are easier and your clients (non-coders) can edit the content themselves! To control the look of the site you create themes, which is the focus of this class. Is coding right for you? Get started with our intro classes, or enhance your skills with our short workshops, including collaboration tool, Git. We’ll introduce you to HTML, the standard markup language used to create webpages, and you’ll dive in and hand code a webpage from scratch. This 3-hour class is essentially the first section of our more comprehensive Web Development Level 1 class. Did you know there are faster and easier ways to code? If you’re not using Emmet (coding shortcuts), Sass (a CSS preprocessor), or Sublime Text (a code editor), you should be! These essential developer tools will speed up your coding with less typing. The course covered everything I needed to know, wanted to know, was curious about, and a little extra to give me that competitive edge in the field of web design. The course size was great, the instructor created a casual, yet organized vibe, and my certificate & free gift on the last day was a very cool touch... I'm definitely going back. Thanks. As a print designer I've spent the last five years being afraid of and confused by web design. The class got me over my fear and gave me the skills to get started. Stephanie Aaron, Aaron Design, Inc. The Dreamweaver Class was great! I was intimidated at first since I never ventured into web design but I feel now that I can handle it, the program is great and so was the class/instructor. The instructions and manual are precise on how to go through the ins and outs of the program. After working with a web designer to do my own website, I wanted to find out all about Dreamweaver and html. I took the Noble class and came to have a great appreciation for the software and the process. The Noble class gave me a good basis to move forward with my learning. I really liked the instructor's style and clarity in all that she presented. And their equipment is exceptional. If you are interested in web design this is definitely the class to take. It was truly a rewarding experience. I started practicing as soon as I returned home. I would recommend this course to anyone who will listen! The course laid out the basics of web design and maintenance. The instructor was helpful and engaging; it was an intense course but never overwhelming. Great insight from the instructor (a real web designer) with little tidbits of knowledge you wouldn't otherwise get. This class was organized and flowed so well, I was up and running by the first class. By the end of it I had designed my first flash intro and gotten a web design contract which paid for the class itself!! This course got me from no knowledge of web design to a solid, competent framework in web design. I am now ready to give my inherited site a major overhaul. In fact, I think I'll take it down and start from scratch. I feel completely prepared since I've taken this course. At first web design seemed so foreign to me. Noble made HTML and Dreamweaver look so simple and easy to use, I'm really looking forward in putting my new skill to use. HTML made simple and clear. The HTML/Dreamweaver class really prepared me to get a decent web site up and running in a short amount of time. The classes moved quickly and weren't at all boring. The instructor was great with answering questions and even going beyond what was in the book if there was enough interest. I would definitely recommend it to anyone looking to learn the basics of web design. Having no prior knowledge of HTML, I found this class very easy to follow. The instructor, Dan, was great and the exercises were really useful. Victoria was wonderful. I've been curious about web design for a while but didn't have the time to focus on it since a big part of my career has been with print. Victoria helped me understand so many things. Now I'm ready to tackle this new arena of design. I found Noble Desktop's Dreamweaver course to be a thorough and concise basic introduction to site design. The 2-day program covered a lot of ground, was well-paced, and dispelled a lot of the mystery that designing for the web has had for me. I highly recommend this class as a place to start web design. I am so happy I finally took a web class at Noble Desktop. I've put off learning web design programs for 4 years and just getting by with the little knowledge of hand-coding and HTML that I knew. However, now with Dreamweaver CS3 there has been no better time to catch up with the web world and quickly and effectively make my own websites and start creating them for others on a larger scale, professionally. Noble made the learning so easy by optimizing their computer set-up paying attention to every detail to make the best learning environment. The Dreamweaver class was clever, pace was good, fast computers and all the latest software. Hands-on training is the best method for learning. Good job, Noble. I went into the class knowing nothing about HTML or web design and I really feel like I have a solid understanding of both now. I think Noble's approach to instruction is right on. Having no direct experience in the web design business other than being an office manager for a digital advertising company, I was quite nervous about taking ‘The Big 3 Web’ and being able to keep up. After the first day of classes I fell into the swing of things. I would leave each session feeling empowered that I could actually become a web developer/designer. I absolutely loved it and Victoria - our instructor - was very patient and encouraging. If it's possible to be addicted to taking classes I would have to say I'm there! More free seminars here I come :0) Noble Desktop, you rock!!! The instructor was very clear and helpful with each lesson. I really enjoyed the class, and no longer feel so apprehensive about web design and development. The Advanced Dreamweaver class was truly excellent--our instructor anticipated all the latest trends and possible situations we might face in web design and built the class around these issues. The exercises were comprehensive and the instructor really knew his stuff. Really worth the money! The class brought me to the next level in Web Design. The tips and fixes for browser troubles were great. This was a good introductory course for both the Dreamweaver program and web development. It provided the basics of HTML and CSS without becoming too technical and a gave us the tools to use Dreamweaver to our advantage. The practical exercises in the workbook both illustrated the lessons and reinforced the learning. The classes at Noble Desktop are fantastic! I took some basic web design courses in college and felt way in over my head. The Noble Desktop instructors really make the material accessible to students of all skill levels. I highly recommend Noble Desktop's Dreamweaver course. A complete novice, I feel I now have a good base from which to expand my knowledge of web building and web design. The information was clearly presented at the perfect speed; I always felt challenged but never overwhelmed. Overall, a great experience and I will definitely return for future classes. I highly recommend it for those who wish to learn web design. The course introduced me to Dreamweaver in a way that was not overwhelming in the least. If anything, I feel more confident about approaching web design after so many years in print production. Thank you! Noble Desktop took my fear out of web design, taught me what I needed to know and launched me into a new aspect of my career. I liked the fact that we went through the code HTML first and learned the X's and O's before going on to the much easier design view, it really connected the dots mentally. And it helped me understand the mechanics of the much easier design view process. I really liked Carl's explanations of terms and procedures. He spelled out difficult material using easy-to-understand examples and references. Finally the ActionScript component of web design kicked in and I understand it better. This class opens up so many new possibilities for working in Web Design and creating dynamic, engaging websites. And it's actually so simple once you learn how to do it. It's kind of like having magic tricks revealed. Actually I was surprised how much was covered in the class. I'd taken a course last year on this. It was a Workforce vendor and I signed up because they were the only ones in the pool that knew what web design was and would take the vouchers. It was 3 times as long as yours and I don't think we learned half as much. I'm so glad that you're in the pool now. Noble Classes are great for anyone looking to improve their skills in all aspects of print/web design or for any individual looking to break into the field. They say 'You can't teach an old dog new tricks,' but I think Noble is the exception to that!! Noble Desktop is a great way to get into web design and production without the drama. They teach you all you need to know. Early this year I got an email from one of my headhunters, who basically said: "... the print jobs that have been eliminated are probably NOT coming back." We were told that we needed to update our skills to include web design. So I begrudgingly took the advice and signed up for Dreamweaver and Flash at Noble Desktop. Their 3-day intensive courses were just what I needed! I didn't have the time to waste taking a semester-long class with a teacher and/or curriculum that may or may not have been any good. At Noble Desktop, the teachers are screened and they are top-rate... and they actually LOVE teaching! Noble Desktop's method of teaching the computer programs uses real-world scenarios — there is no time wasted on stuff you don't need, nor on rhetoric or theory that is useless. The material is relevant and current, and they teach it in a way that is logical, and easy to grasp. They test their lessons over and over and constantly update the classes and workbooks. After taking these 2 classes, I feel that now I can send out my resume with my new web skills added, with confidence! Yes, their classes seem expensive, but no more than any other art school here in New York City, and you get the skills you need in just 3 days! So — since your time is money, you come out way ahead of the game! Thank you Noble Desktop. You are one of the absolute BEST schools in the country. I am not a web designer but after taking the Intro and Advanced Dreamweaver classes at Noble I am confident that I have the tools to start building sites as well as the concepts and vocabulary to talk with industry professionals. Took the fear out of HTML and CSS. I had fully completed web, HTML, and Dreamweaver CS5 courses online from one of the most notable online course sources -- I still didnt have a handle on HTML and Dreamweaver. To make a point: I've mastered QX [since 1989] and IND since its inception; so I would say I'm 'mentally receptive' to learning new stuff. it just didnt happen with the web related stuff -- BUT after doing Dreamweaver at NOBLE, after the first day I was totally embracing HTML -- and after the 3 day course, I was up and running with DW. Great class! Clear instruction for the designers and artists among us! Avery Herman, A.G. Herman Assoc. The course was excellent. To take a topic like web design and make it accessible to someone like me, who had no previous experience or even knowledge of web design, is truly a craft. The workbooks are also excellent, not cluttered with technical jargon like most of those "teach yourself" books. I will be coming back! This class typified the excellent standard of teaching and materials that I encountered through all the disciplines covered in the Web Design program. I unreservedly recommend Noble Desktop! Excellent place to start to understand any of the web design programs. I have tried to teach myself web design/html coding, etc. This class brought those tags home. Seeing them work with InDesign gave me a comfort level for going forward with learning new technologies. The class far exceeded my expectations! Both the quality of instruction as well as the course material were excellent. I come from a non-graphic/web design background and came out of the class feeling like I now have a solid grasp on the basics of Dreamweaver. I really appreciate the rigor and thoroughness of the instruction. Highly recommend this class! I'm almost embarrassed to think how resistant I've been towards learning web design/coding - the class was amazing, intuitive, and could not have been clearer. The class was great; I had a good time and learned a lot. I started out knowing nothing about Dreamweaver, code, web design, etc. Now I actually feel comfortable enough to pursue this. Victoria was great; she explained what we needed to know very thoroughly and made sure that we knew what we were doing. I will make sure I come back for a few more classes. This class is perfect for those who have never touched web design before as well as those who have experience. I had tried to learn Dreamweaver on my own a while ago. But it was such a struggle that I actually gave up on learning it until I came across Noble. I had worked in print design and I have been wanting to make the move to web design. And this class was perfect and Victoria is an excellent instructor! I recommend this class to anyone wanting to jump start a career in web design. I really enjoyed learning at Noble Desktop. As a professional dancer entering into web design as a fallback career, I have next to no experience in web design. The teacher was excellent! She really knew how to break the concepts down in several ways, hitting every type of learning style making it easy for me, a total beginner, to understand. The workbook was very straightforward and simple to follow. I felt that the information I received and the best practice techniques were top of the line, and excellent preparation for entering the field of website design. I can't wait for my next class at Noble Desktop! The HTML/Dreamweaver class is the best web design course I’ve taken. I’ve attended many graphic design courses at various NY colleges, including SVA, and this far surpassed them. It was extremely organized, the instructor (Victoria) was very knowledgeable and as a bonus, she was a great teacher! I loved the idea of “sitting back and watching” as the instructor taught us and then doing the lessons. I also appreciated how the Training Book was set up...it walked us through step by step in each assignment. Many lesson books build on what you’ve learned before and just assume that you remember those steps for later lessons, which can be very frustrating. It was just a great experience and I will definitely come back for more classes as my skills advance. Also, as a side note. I felt the environment was great. We weren’t squished together...I really felt like I had my own space to work and spread out. I was also impressed that all the computers actually worked and weren’t antiques (something you don’t find at art colleges when taking continuing ed. classes). The HTML class was exactly what I needed, light on theory, heavy on practical application. I’m a quick study, so I appreciated the ability to work at my own pace. The instructor was just terrific, really knew her stuff and didn’t mind the relentless questions. I can’t wait for my next class! I was afraid my minimal background in web design would leave me in dust for this class, but Noble Desktop has a great program with wonderful, knowledgeable instructors. The class exceeded my expectations. I was a beginner user of Dreamweaver and this really reinforced what I knew and introduced new things. I feel much more confident now to use this tool for web design. I would highly recommend this class. It had the perfect blend of teaching and hands on experience. I am looking forward to taking the advanced class and learning more. The Teachers were professional and experienced. Overall, a great atmosphere for taking a web design class.. it’s only missing the wine and cheese. Of all the courses I have taken, this one tops it all! Victoria knew her material and was very articulate, enthusiastic and gave us even extra tips! I enjoyed the HTML/Dreamweaver course! All I have to do is now practice and put all the great information to work. Also, I’m impressed of the method of teaching that’s in the handbook and the accompanying CD to practice at my own pace! It’s very well prepared. The handbook is superior to “Dreamweaver for Dummies”. Excellent method of teaching and great instructor! I highly recommend Noble Desktop courses! Noble Desktop lives up to its name and reputation. The HTML/Dreamweaver class was excellent and I learned a lot. I will recommend this firm to my friends and colleagues. I already filled this evaluation out when I took only the Dreamweaver section; now that I have supplemented it with html, again, I have the same response. Noble Desktop is an outstanding learning institution. This was an awesome course! I learned so much from the three weeks and feel very confident using Dreamweaver now. I also understand HTML much better now. I have finished the Dreamweaver/HTML class, registered for an upcoming Flash 5 class, and I also see the Photoshop and Fireworks on the horizon. My honest opinion is that learning from Noble Desktop’s instructors is learning from the best. In addition to being a webmaster, I am also a certified Police Instructor- and I can tell when instructors are enthusiastic and knowledgeable in their field. That said, Noble training stands head and shoulders over the competition. It was a pleasure to attend such a well structured, well thought out class. Noble Desktop has produced a superexcellent course to deal with, what to many, is a difficult subject. The HTML/Dreamweaver Class was on target! This Dreamweaver class really helped me understand the basic knowledge of web design and coming from print, that's a definite plus! I learned more on the first day of Noble Desktop's Dreamweaver Level 1 class than I did from reading a handful of books on HTML and CSS. I can't wait for my next class. Dreamweaver Level 2 is an excellent class to bring your skills up to date. Take advantage of this 3-day course to build your real world web design skills. This is the class you need to take to get to the next level of web design and development. The Dreamweaver class exceeded my expectations! Victoria was an excellent teacher, who made 6 hours a day of working on a computer go really fast, which is not an easy thing to do. The amount of knowledge gained in just three days was enough to ensure that I will be going back for the Level 2 course. I would recommend this class to anyone interested in web design. The Dreamweaver Level 1 class was fun and engaging. It took the confusion out of HTML and CSS and broke it down to its basic components which were clear and surprisingly comprehensible. I had to learn Dreamweaver in a 'trial by fire' method for a graduate digital design course... I learned enough to get by - but taking the class at Noble, it allowed me the opportunity to really understand how Dreamweaver works, how to code with HTML and the advantages of CSS. At the conclusion of the first class I signed up for the next level.. and I'm now very interested in pursuing the Certificate in Web Design. Digital design is the future of graphic design and I'd like to be prepared. After spending many hours watching online tutorials of HTML, CSS and Dreamweaver, I had a cloud of theoretical information in my head which didn't quite settle down. The Dreamweaver 1 class I took at Noble Desktop brought everything together and gave me a good foundation. I'm really looking forward to taking more classes now. Learning is fun when you apply new ideas in meaningful ways. Noble Desktop's Dreamweaver class offers students a great way to absorb a wealth of information by sequencing exercises that mirror real world experiences. After just 3 days, I'm feeling confident about web design. Mark Zuckerberg better watch out! Was always just fascinated on how HTML operates & signed up for the Dreamweaver Level 1 class. I've got to say that from when I walked into the classroom the teacher broke it down so simply & easy, I was like "Hey I can do that!" --- Thanks! A great class for those already using HTML and CSS interested in the possibilities of the latest standards. Dan definitely knew his stuff and made the class very enjoyable all around...awesome job...and great primer to HTML5 and CSS3! Attending the 'Responsive Web Design' course really provided me comprehensive information on how a 'Responsive' site can be designed and what are challenges and how the challenges can be met. Nate was a fantastic instructor. There were different skill levels in our class and he was able to navigate through the content without boring or overwhelming anyone. He was incredibly patient and knowledgeable. The two day Wordpress course with Nate Cooper was fantastic. I left the class inspired and ready to dive into the Wordpress world. Thanks. The WordPress.org class paid for itself before the end of the class. I was able to make changes on our website that would have cost three times the cost of the class. I'm working towards my certificate in Web Design, and Fireworks was suggested as the follow-up to Dreamweaver I. I think it was great because it took a lot of elements that were used in the prior class and showed you how they were created from the start. Loved the Web Development I Class. I had no previous experience with coding and now I feel I can go out and create simple static sites with a lot of tricks up my sleeve. Totally awesome instructor, can't wait for Web Development II. I had knowledge about coding in HTML. After taking the Web Development Level 1 class, it filled in the blanks. I'll put it this way: instead of typing with one finger, I now type with all ten. As HTML5 and CSS3 become the web design standard, this class will continue to become more crucial for industry professionals and novices alike. Responsive design is already pretty much the standard, so this class is a must for any web designer. I had an amazing experience in the Web Dev Level 1 Class. I have learned the basics of HTML many times, but have never been able to go home and code on my own. Thanks to this class I am confident in my skills, and feel I have an incredibly strong foundation to continue learning! It was a great course. Lots of information relayed in a friendly atmosphere. I'd definitely recommend Noble Desktop to friends and others interested in learning more about computer programming and web design. The Web Development Level 1 class was excellent. I had never taken a class at Noble Desktop nor heard of them before, but I learned so much in 3 days. I was able to put my new knowledge to use as soon as I returned to work. This class was exactly what I needed to fill in the gaps of my current "self-taught" HTML knowledge. It covered the basics and more. Easiest & fastest up and running transition from Flash to HTML5 for animations. Noble Desktop is a great educational resource for professional web designers and instructors who want to stay current with the latest trends. For me this excellent intro class was a real wall breaker into the world of web design, HTML, and CSS! A great overview with an emphasis on the key elements that make Mobile and Responsive Web Design work. This class is an important choice for anyone interested in the cutting edge of Web Design and Development. The Web Development Level 1 class was well paced, chock-full of useful information and real-world insights—an excellent introduction to HTML and CSS. I very enthusiastically recommend Noble Desktop to professionals looking to further their education related to coding, web, and graphic design. The Web Development Level One Class I took was taught by Cathline Marshall. Cathline was one of the best teachers I have ever had. Not only was she extremely knowledgeable but her teaching style was cutting edge. She engaged the entire class and made great efforts to make sure each and every student pushed themselves and maximized every class moment. I was particularly amazed by the consistency in energy Cathline maintained from start to finish in what was quite a long class. The syllabus fit a ton of information in three days. 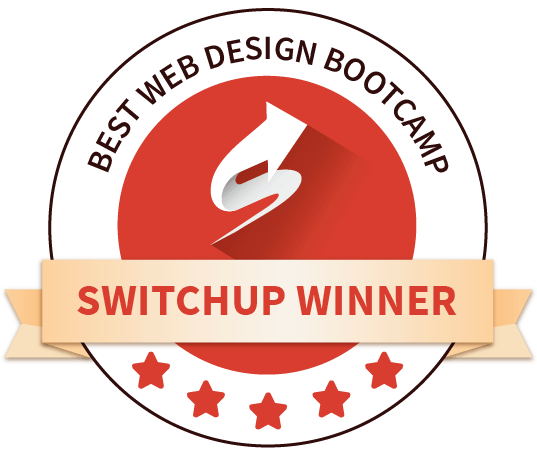 I truly walked away with a great understanding of HTML & CSS coding. A great way to break into web design. No question too small. The teacher, the exercises and the work book are seamlessly designed to cover the most ground. A great class for a great price! I truly enjoyed this class and would like to take Web Development Level 2. I thought that everything was covered wonderfully and I got a lot out of it! You can always trust Noble Desktop to provide the best education, most current information and practical and effective exercises for today's web design and development needs. I was coding my own website, and had run into a number of roadblocks. By the end of the class, all of my issues were solved, either with the course exercises, or with the instructor's help. I feel much more comfortable with both HTML and CSS after taking this course. This class was a fantastic overview of PHP. After working in Front End development for many years and touching PHP and working with databases, this course really helped piece it all together for me. I only wish I had taken it sooner. The speed and topic coverage was just perfect, and the book is a great resource that I can use to refresh at any time. Excellent class for those looking to refresh their basic HTML coding skills. Before the class HTML and CSS were a mystery and intimidating. Afterward, with the aid of the instructor and the lessons in the book, the veil was lifted and I feel more confident. It is work, but rewarding work, and I look forward to tackling more material. This web class is just terrific. I feel that I learned a lot in this class, and was finally able to piece together all the basic components of HTML and CSS that I've learned over the years, together, into one beautiful thing! Web Development Level 2 is an excellent class that will keep the student satiated for some time. With excellent lessons coupled with the real life experiences of the instructor it truly makes coding fun and leaves one to learn even more. A great class to dive into the world of HTML and CSS, with a brilliant workbook. The Mobile and Responsive class guides the student through the rough patch of understanding the ins and outs of web design for all platform viewing areas. Well worth the effort to take this class. The HTML5 and CSS3 course was excellent. The material, pace and examples were presented in such a way that a novice would easily understand the material while still being engaging enough for industry veterans. Cathline Marshall was an excellent teacher, making it easy to understand HTML and CSS. I would definitely recommend Web Development 1 to anyone who is thinking of designing websites! My professional experience up to this point has been primarily print based so when I learned Noble Desktop had a web and mobile class geared toward visual designers, such as myself, I immediately signed up and was very pleased with the results. The three day course offered an in-depth overview of visual theory, communication design, technical processes, industry practices and standards as it relates to cross platform web design. The assignments were pertinent, engaging and offered an opportunity to learn from fellow classmates. The course instructor was a highly effective instructor, attentive to each student and extremely knowledgeable. I would recommend this class to others seeking to make a positive career change. Web Development Level 1 is an excellent intro to web site coding. Content was completely alien to me until I took this class. From Day 1 everything made sense! As someone with no experience in coding and relatively little experience in computer concepts in general, this is a digestible and immediately applicable introduction to HTML and CSS. This class gave great information about responsive web design. I immediately applied many of the techniques to the website I was working on at the time. I had no idea that HTML and CSS could be so fascinating! I definitely want to take more classes. This was a great course. As a long-time print designer who has been learning little tidbits about the web on the job, here and there, this really made things less intimidating for me and now I feel like I'm on a path of empowerment in website building. I look forward to starting the Web Development Level 2 class. Noble Desktop is the best school– great instructors and I love their instructional manuals! I cannot wait for my next class about Responsive Web Design. When I need to learn new programs I will always go to Noble Desktop. Just completed the Web Development Level 1 Class. I never thought that I would learn HTML and CSS so quickly. The instructor was great. I would definitely recommend taking classes at Noble Desktop!!! I think this class was the perfect amount of content & taught in such as way that it was easy to understand, especially for those like me who are designers & not used to code. It was very easy to understand and follow and I felt excited at the end of each day about FINALLY understanding how HTML & CSS work together to create a site, and how simple it can be once you understand the basics behind code. GSAP is an amazing class. I was really impressed how powerful is GSAP when building HTML5 banners for mobile devices. As someone who got into Web Design 15 years ago, this course was a great refresher and it showed me what I was doing wrong. Aside from updating my skills, this class also helped me get more comfortable with what I really needed, to learn how to hand-code HTML. Taking Web Development 1 at Noble Desktop was an enriching and fruitful experience. I learned the basic mechanics of CSS and HTML and felt more confident speaking about these technologies back at the office. Certainly a worthwhile investment. Web design taught cleanly and concisely with attention to shortcuts as any web designer would use. The Web Development Level 2 course was more exciting than the first, showcasing further possibilities of what could be done with HTML and CSS. The instructor was extremely knowledgeable and had real-world experience; he shared many resources with the class and was a wealth of information. The HTML5 & CSS3 class is a great eye opener for discovering what new possibilities are available and supported for your development. The books are really easy to follow but having the instructor-led class makes the biggest difference. Providing information on the progression of HTML, best practices and great resources to follow, you simply cannot pass this up. Invest in yourself and take the Mobile & Responsive Web Design class. It's a great and invaluable experience that will keep you current with web trends. The added bonus; instructors at Noble Desktop are always top notch! The class was well thought out and the instructor was very thorough. Covered a lot of basic and not-so-basic HTML and CSS coding - enough to make you want to come and learn more at the advanced level. If you've never taken HTML, then this is the class to learn the foundations of HTML in only 4 classes! Plus with comprehensive teachers and an easy to follow workbook, you can easily pick up HTML literally in a day. Once you have that information, it’s up to you to use it. I have done bits of web-based work over the past several years but without ever having any formal training. This class was an excellent overview of the foundations I've been sorely missing all this time. I now have the confidence to do more learning and experimenting on my own. That said, there were so many great short-cuts, tricks, and resources given out in this class that I've signed up for the Web Development Level 2 as well. And I'm really looking forward to it! As someone without a design background, I felt the web design classes at Noble Desktop were great at filling in some personal knowledge gaps, in addition to teaching how to build a website and code. The instructors all have so much to share, be it career advice, design tips or technical knowledge. I definitely feel fulfilled and empowered by the tools I’ve picked up here! Noble's learning and instruction approach is very well-structured and organized. You learn (and code) a lot in three days. Web Development Level 1 is a great introduction to the world of Web Development. I look forward to moving to Level 2. I was nervous before I entered, but Web Dev 1 made everything so straightforward and logical. I feel like I now have the basic tools to tackle projects I would have shied away from previously. Very comprehensive course. I really enjoyed learning basic CSS as someone who doesn't have much experience with coding/programming languages. The pace was good for me and I definitely recommend the course to beginners or anyone that wants to learn HTML/CSS. Reading all the positive testimonials you think to yourself, ‘No class or instructor can be THAT good, right?’ Wrong. The instructors at Noble are the most knowledgeable, experienced, patient and skilled teachers you will find anywhere and the learning methods and training materials they employ will have you designing, coding and creating in no time. I loved this class. James was fantastic at taking the mystery out of this "thing" called HTML/CSS. I'm an old school graphic designer who has been in denial about making the transition to web/mobile design. After three days of digging in, I have to say I'm very excited about learning as much as I can about coding and designing for the screen. I know I have so much more to learn, but I'm extremely thankful I found this class to light the fire and push me on my way! I loved this class. I loved Victoria. It was a great experience and I learned so much. I got excited about web design again. Web Development Level 1 was an excellent class that covered just the right amount of material and even had some time to delve into forms. The class size was perfect, classroom was clean, equipment worked well without issues. The course was very well organized, exercises were well thought-out and were easy to navigate through. Victoria was an amazing instructor, she knew her material very well, was very kind, helpful and supportive. I highly recommend the class and the school. LOVED the instructor! He was really knowledgeable, helpful, positive, and made learning about HTML and CSS fun and not nearly as frightening as I thought it would be! David was great. The class was great. I'm no longer so intimidated by the deeper levels of the web design process. Web Development Level 1 is an excellent introduction to HTML and CSS coding. The fundamental elements were explained and hands-on exercises bolstered an understanding of each function. If you are looking to build a simple web site or gain knowledge of basic coding for customization of existing sites this course is definitely helpful. The Web Development Level 2 course helped clear up some of the quirkier parts of HTML for me. In addition, it showed me how to improve things I already knew how to do. The class was a great introduction to HTML and CSS! I had a little background knowledge going in, but I definitely feel like I have a better understanding of WHY you do certain things and the logic behind the code. It was beginner-friendly and taught practical skills that I can already use. After going home on the last day, I was able to update the navigation on my company's website and add a new page that fit the rest of the website's styling. I could even make it mobile compatible! If I'd tried this a week ago, I probably would've crashed the whole site. Not knowing anything about HTML/CSS, I found this class so informative. There was just the right amount of instruction without it ever feeling overwhelming. The instructor was fantastic. She was extremely articulate and explained things so clearly that I really felt like I could truly tackle web development. I feel that I now have a good solid base of knowledge in HTML/CSS and am excited at the idea of moving onto the next level. Noble Desktop has a great atmosphere! You never feel intimidated or that you are not "techy" enough to learn any given program. The Web Development Level 2 class was really informative and helpful with creative ideas for web design. I found the Web Development 1 course very informative, easy to follow, and highly engaging. I find the methods used to teach the course very effective. I finally understand the basics of HTML and CSS, and I'm ready for more. Where other guides become so daunting and lose me, the method used in this class made it much easier to understand the material and learn. This class was great for me, returning to web design after 5 years. I was very intimidated by the advancements in web design but after taking Web Development Level 1, I am ready for more! The Wordpress class is a must-take for anyone learning web design. Lasha explains everything very thoroughly and goes above and beyond to detail every step. I highly recommend this class. The Web Design Certificate program was a great experience. I did not know all that much about web design before attending, but I feel that I gained a great deal of knowledge here, and I am excited to build upon my skills now! I really enjoyed the format of this class. It is taught in a way that just "clicks" with my learning style. Watching the instructor go through the lesson first and give extra tips to help solidify the information outside of what is written in the workbook is immeasurably helpful. While I came into the class familiar with the basics of HTML, the course helped to show the "why" behind the process. The instructors have been very knowledgeable and are readily available to answer questions or clarify the content. I would certainly recommend this course to anyone looking to learn HTML from the ground up. The hands on approach is just what is needed in this type of course. I spent a lot of time researching different schools and couldn’t be more happy that I went to Noble Desktop for the Web Design Certificate. The instructors are great, you cover a lot of material and best of all - you get to keep the workbook so you can repeat exercises on your own! Demystified the basics of HTML for me! Well designed course. I learned a lot. From setting up an HTML document, to using CSS to style content. The teacher was knowledgeable and was able to answer all additional questions the students asked. I highly recommend this course to anyone who would like to start designing web sites in HTML and to designers who would like to solidify their HTML and CSS skills. Amazing experience and learning environment. Learned many useful web design and development principles that are utilized today in responsive design. This class gave me a solid foundation and understanding of best practices in modern day web development. Learned so much in such a short amount of time. I'll be able to use what I learned at work immediately. Loved the class. Learned a lot through them as well. The class made it easy to learn fast. Great class. Coming from a development background with knowledge of Sketch and some basic graphic design concepts, I was able to relate to Dan's helpful and insightful feedback while working through the class website project. He provided suggestions covering a wide range of design elements - content, gestalt principles, typography, color, photo elements, the overall feel, etc. I would totally recommend Noble Desktop to anyone, as it is a dedicated learning environment but the course content is interesting and the instructors are fun, as well as being knowledgable. I am so glad I came to Noble! The pace of learning is great and the instructors are very understanding. I will be back frequently! Simplicity is the key component learning at Noble Desktop. I recommend this class to anyone learning any computer language. Easy to understand for the first time user. As a long-time refugee of print design, I took the plunge and invested in my career by taking the web certificate. I feel like it really paid off. I felt empowered and possessed the tools to design and build modern, responsive web sites. The aspect I most appreciated was learning up-to-date best practices for executing modern web designs. Noble’s original step-by-step books are second to none: easy to follow and handy references to fall back on while working on a project. The instructors bring their own valuable real-world experience and are eager to help and share their knowledge. The instructors are top notch; very approachable and they know their stuff. Their class format is see and do; they explain an exercise step by step then have you complete it and are there to help you if you get stuck. I found the hands-on approach very effective. The exercises are modular and build on previous ones and every time you complete one you've made something happen that you didn't know how to do 30 minutes ago. That's a great feeling and helps keep you engaged in what you're learning. Piece by piece you're building practical skills that you can apply immediately. Great experience! Love that they give you a text book, comes in handy. Def will come back for another class. Would recommend to anyone interested in learning web dev. Thanks to this class, when I look at a web page, I finally feel as though I understand what I'm really looking at. Whether you're a visual learner or a do-it-yourself learner, Noble Desktop's courses will cater to that and make information easy to understand. I feel like I can now go and make webpages. Learning new things is a great way of expanding your knowledge and this is the perfect place to do it. Short, efficient classes, packed with information and plenty of exercises. I would highly recommend Noble Desktop. They offer a welcoming environment and amazing courses. If you want to get a quick inside look at web development, this class is the right one for you! Exactly the place to start learning. Great pace, great price and overall a great time. Very approachable way of learning a new skill. Nothing seems out of reach when it is taught this way. I think I learned more about coding in 3 weeks than I did in 4 years of design school. As a first time coding student, I have to say that I was very excited yet nervous that to begin a class that spoke a "different language". Noble Desktop's Web Development 1 class is laid out in such a way that makes it easy for students from any background to learn and understand an extensive amount of content in a simplified way. Sneha is a natural teacher, funny and well-informed. I felt both supported and challenged by the class. Highly recommended for beginners (and self-taught people like me, with major gaps in their knowledge)! The course was no-nonsense and well-executed. The materials are great. Staff are very friendly and the courses are affordable. I am definitely taking more courses here. You guys rule. I always recommend Noble Desktop to anyone who ever asks me for advice about taking instructional classes. Excellent instructors.. patient and extremely knowledgeable. I'm so happy that this class is required for Certification, because it showed me unbelievable time savers and forthcoming techniques I'd otherwise never know about. Over the years, the good people at Noble Desktop have solved the magical mysteries of web design and web coding! Cheers! Learning about Flex, Grid and Bootstrap has changed my understanding of web design. I'm so glad I took this course! You will build your own projects, websites, and apps in our coding classes. Learn by doing! Which Web Development Course is Right for You? We offer a variety of individual courses and certificate programs in front-end, back-end, and full-stack development. Which course or certificate program is right for you? HTML, which stands for HyperText Markup Language, is often the first language that developers learn. It allows them to add content such as text, images, forms, and more to webpage. HTML creates the content and structure/outline of the page. Developers supplement HTML with CSS to refine the appearance of the content and the overall layout. Together, HTML and CSS make up the majority of the user interface. CSS, or Cascading Style Sheets, is learned alongside HTML because the two work seamlessly together. With CSS, we can make global changes to a website’s look. We can style color, font, border, position, shape, and even create simple animations. We can change individual elements (such as a single line of text), multiple elements (such as all headers at the same time), or we can pick and choose which things to manipulate by assigning classes and IDs to things that we create in HTML. Bootstrap is the most popular front-end library, which exists to make your life as a developer a bit easier. You can decide which parts you want to use, from its grid (which makes laying out a page faster) to its many pre-made components (navigation bars, slideshows, buttons, popups, and more). Bootstrap allows you to create/use themes for controlling how the pre-made elements look. This way you can quickly start off with the default appearance, and then customize it later if you want. Git for web applications is like Google Drive for essays. As you change a document or a file, the changes are tracked, the previous versions are stored, and you can collaborate with others by giving them access to your repository. While Git facilitates collaboration and keeping a history of your code changes, its indispensable for professional use, too. Your GitHub profile is one of the first things that recruiters and employers will look at when trying to learn more about you as a developer. They can see how and with whom you work, how you organize your files, whether you include clear and relevant comments in your code, how often you program, and so on. They can even look at live versions of your applications. Many new developers are intimidated by Git because it involves using the Terminal, or the command line. However, most people find that using Git is the best introduction to the Terminal! Once you understand the workflow, you usually only need to use a few commands so you can be up and running quickly. Git is covered in all of our web development certificate programs. Which front-end class or certificate is right for you? Committed web developers can attend our New York State approved certificates at a discount, while beginners can get started with our introductory courses. We also offer a variety of courses for aspiring designers that do not involve or require any coding. With extensive course offerings (from 1-day courses to entire certificate programs) and flexible scheduling, we are confident that you will find a course that is the right fit for you. Our Web Design Certificate expands on the front-end by adding classes in Photoshop for Web Design & UI to layout webpages and optimize graphics, and HTML Email to apply HTML & CSS concepts for creating beautiful marketing emails. Both of these programs are offered at a discounted rate (as opposed to taking the courses individually) and participants who complete the programs earn a certificate approved by New York State. We offer full-time options weekdays, as well as part-time programs on weeknights or Saturdays. All our certificate programs allow attendees to retake any course in the program for free within six months. Step-by-step workbooks are included for use during and after the classes. If you want to try coding with an introductory course, start with our Intro to Web Development class. You’ll learn the fundamentals of HTML and CSS so that you can create visually appealing multi-page websites from scratch. No prior coding experience is required. You can start with our shorter courses and bootcamps and earn a certificate over time. If you are strictly interested in designing website interfaces (but not programming them), you should attend our web and visual design classes. We offer both introductory and advanced courses in Sketch, where you will learn to design and lay out webpages. We also offer a range of UX design courses for aspiring user experience designers. Now, if only they could register as a user, make a profile, like and comment on blog posts, and make contributions of their own. Without this type of functionality, your website is not dynamic; it simply exists for users to view. In other words, they can look, but they can’t touch. Their interactions with your app or website will not be saved unless we find a way to store the user’s information in a database. Otherwise, every time you reload the page, you are back to square one. This is where back end development comes in. The back end is invisible to the user. We know it’s there, and we know it’s working, but we can’t see it happening. Ruby is a general-purpose programming language that facilitates object-oriented programming. It is a back-end language that is often used alongside Rails. Ruby on Rails is a web-development framework that is both implemented in Ruby and dependent on Ruby. The popularity of Rails ultimately lead to the rise of Ruby as a back-end programming language. Rails makes working with Ruby much more intuitive; it simplifies repetitive tasks and helps you build complex web applications without complex code. Our Ruby on Rails course in New York covers both Ruby and Rails, and offers a comprehensive curriculum with practical lessons that you can put into practice immediately. Python is one of the easier languages for beginning developers to learn. It is the most commonly taught programming language in high school and university-level computer science courses—and for a good reason. It has a simple syntax, and is relatively easy to learn and use. But Python is not just for beginners; some of the most complex applications have been written in Python. Think Google, Instagram, Reddit, and YouTube. It is a powerful and versatile programming language that can be used for almost anything: back-end programming, data science, automation, and other specialized computing. Another benefit of learning Python is that it is one of the most popular languages. This means that there is ample documentation for beginners and experts alike, as well as a large community of Python developers who are ready and willing to help when you encounter a tricky line of code. Flask is a microframework for Python that gives you the things needed to build web applications. Pinterest and LinkedIn, for example, use Flask. We cover Flask in our Python courses. Our Python courses are just as versatile as the language itself. Our Python for Web Development Bootcamp explores Flask in-depth to build dynamic websites. We also offer other Python courses, including Python for Data Science bootcamp. PHP is the web’s most popular server-side scripting language. Some of the biggest and most popular websites, such as Facebook, Wikipedia, Baidu, and Tumblr run on PHP. It is fast, free, stable, and full of advanced features. PHP can help bring your website to life, changing it from a static HTML-only experience to a two-way interactive user experience. PHP is the backbone of many web-related activities that we take for granted, such as handling form submissions, powering e-commerce transactions, and interacting with a database. PHP is almost always paired with MySQL, an open-source database that is unrivaled in popularity. This is why our course covers PHP and MySQL together. Many of the most popular content management systems, such as WordPress, Drupal, and Joomla, are written in PHP. Understanding this language will make it easier for you to understand how these CMSs work, and will help you customize them so that they can better fit your needs. WordPress is a content management system (CMS) that allows users to create websites without having to code them. WordPress is the most popular CMS; around 33% of all websites are powered by WordPress. Its ease of use and user-friendly interface make it popular among non-programmers, as they can create visually appealing websites full of text, images, and embedded media. WordPress runs on PHP, a back-end language that is used in a variety of applications. One of the biggest benefits of using WordPress is that you can create and customize a website for a client, but then pass it off to the client so that they can update the content on their own. While you can create a functional website on WordPress using the built-in features and the expansive library of plug-ins, there are limits to how much you can customize unless you input your own code. In our WordPress course, we’ll take you through the process of installing WordPress, modifying existing themes, and creating your own custom themes. You don’t need to know PHP to take this course, but you should be comfortable with HTML and CSS. Full stack developers are proficient at programming the front end and the back end. Sometimes, full stack developers are generalists, but other times, they are former front end experts who decided to learn back end development in order to produce their own applications from start to finish. A few developers start with back end development, but the majority are at least familiar with front end languages before they dive into the back end. Some companies might seek out full stack developers because of their versatility. One person can accomplish multiple tasks, manage several projects at once, and take control over the projects from beginning to end. On the other hand, some companies sometimes prefer to have a front end developer who is an expert, and a back end developer who is an expert. This way, each developer can hone in and focus on just one portion of the website or application. Some people are hired just do work in a single language on a single part of an application! For example, a company might hire a Ruby developer and leave the rest of the development to other members of the team. Interested in full-stack web development? Our full-stack certificate program encompasses both front-end and back-end development. Should I learn front-end, back-end, or full-stack development? All web developers need to know at least some HTML and CSS, so you should start learning front-end. Those are easier to learn than back-end, so it’s a good place to start. If you like to focus on the appearance and interactivity of a webpage, front-end is what you should focus on. After learning front-end, you can learn back-end technologies depending on your needs. If you like creating website functionality, programming how things work, and the logic behind the scenes, then back-end is what you should focus on, and in particular Ruby on Rails. If you know both front and back-end, that makes you a full-stack developer. Designers and developers who will be creating content oriented website are often best served by learning WordPress. You can learn to create or customize WordPress themes, experiment with back-end development, databasing, and more in our Web Design with WordPress and PHP certificate program. Front-end developers spend the majority of their time working on the portion of an application that a user sees and interacts with. This is a great option for those who have a keen eye for detail, and who enjoy watching their creations unfold before their eyes. Some front-end developers participate in an application’s design, but others are given a wireframe (like a blueprint, but often very precise) to follow. It takes the guesswork out of programming and makes the end goal very clear. Front-end developers can add courses in web design, such as Sketch in a Day and the Visual Design Bootcamp, to become a well-rounded web designer. If you enjoy working with databases, security, and don’t want to focus on the visual appearance/layout of the page, back-end development might be a great fit for you.